Posted December 28, 2013 by Charles Morris & filed under Newswire, The Infrastructure. Transport for London (TfL) has selected IER, a subsidiary of the France-based Bolloré Group, take over the management of Source London, the capital’s EV charging network. 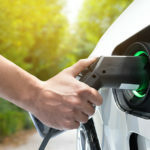 IER will be responsible for all back office functions, working from its UK offices, and plans to work with new and existing Source London partners to expand the network to 6,000 charge points by 2018. Source London, which was launched by the Mayor of London in May 2011, is a consortium of over 60 public and private partners, led by TfL. The network now includes nearly 1,400 charge points across 300 sites including supermarkets, shopping centres, council and private car parks, hospitals and on the street. IER has extensive experience operating EV schemes – it’s involved with the Parisian car-sharing service Autolib, which was launched in 2011. IER currently has over 30,000 subscribers.